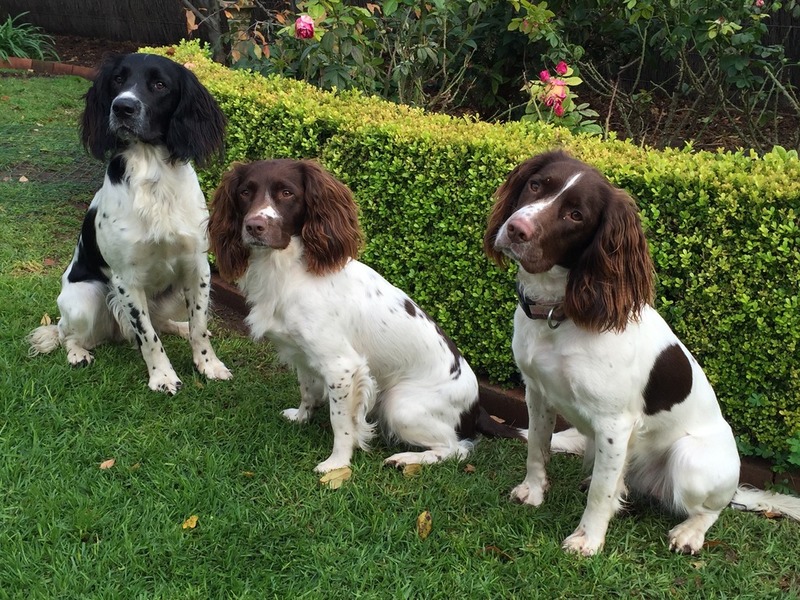 We breed field-bred English Springer Spaniels very occasionally and pups are carefully placed in homes committed to giving them a "job" - whether it be hunting, retrieving, field trialling, agility, obedience, rally-o, tracking, nose works or active family homes. Our puppies are raised in an enriched indoor/outdoor environment with great consideration given to early neurological stimulation, socialisation with adults, children, mature dogs, cats and chickens, sound desensitisation, exposure to unusual surfaces and objects, olfactory and tactile stimulation, regular nail trimming and daily handling in addition to excellent health, diet and general care. Read more about our dogs and see how we raise our puppies. Check out our latest news.